My C4 spits and sputters on acceleration until the coolant temp reaches 143 degrees and then it accelerates fine. Idle at cold is okay and a very slow acceleration is okay. It starts fine when it's cold; however, twice I have turned it off when it's hot and could not start it until the coolant temp dropped below 143 degrees. It may not be tied to the coolant temp, but it sure acts that way. I guess I'm caught in OBD1/2 Purgatory, as well. Sixteen pin connector, but not really an OBD2 system (only get ERROR reading)... So, no answers there. If anyone knows how to read the codes on this puppy, I would hope you would share. if you change this on a cold motor.. without loosening the radiator cap.. you can change it while only loosing a few table spoons of coolant..
this tells the computer how hot the engine coolant is... not usually the dash board..
one of the delco part numbers for the engine coolant temp sensor is. i did see some 3 terminal temp sensor switches that i have not run across yet.. Please verify that you have an LT1 car.. not the LT5 32 valve version..
where do you live at.?? so i can see if i can find one for sale on craigs list and post the link..
i put up a post about scan tools for the C4 corvettes..
you are going to want to find either a late OTC extended monitor.. with the OBD2 cables and probably a 1997 pathfinder cartridge..
that would be about the least expensive used if you can find a set..
there are otc genisys models..
there are snap on MT2500 models..
you might want to see if you can find a deal on the OTC 3499N kit as that scan tool does OBD1 and OBD2 cars.. so you should be covered..
i guess i will have to do some research and perhap lay out my current scan tools for photos..
Beginning in 1994, you short pin "12" to pin "4" and once again turn the ignition switch to "On" without starting the engine. Module "1" is still the CCM module. 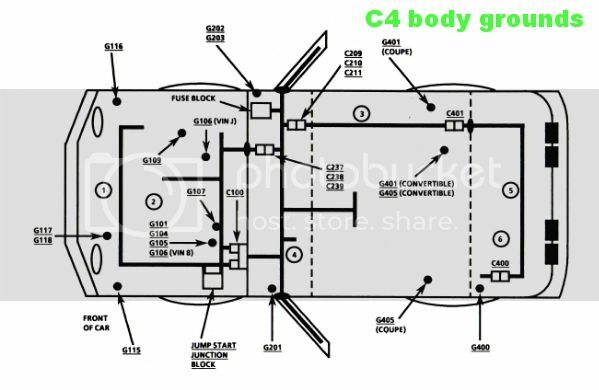 Module "4" is now called the PCM module (Powertrain Control Module) because automatic transmission computer control was added to Engine Control Module in 1994. Module 7 (on the 1996 model only) is the RTD module. (This is the Real Time Dampening module which replaced the Selective Ride Control module in 1996). Module 9 is the ABS/ASR module number from 1994 through 1996. Finally, Module "A", the DERM (Dynamic Energy Control Module --- the air bag control module) will be requested to show any codes. Just like the 1990-1993 display, you read the codes on the speedometer and read the module number on the trip odometer. Again, you can cause the codes to repeat by turning the ignition off for five seconds and then back on. Turn the ignition off and remove the short to restore normal operation. wayne thinks that there is a way to command the dash board to give you data from the modes above by pressing a specific combo of buttons.. Turn IGN ON, ENG OFF. ON DIC, Press RESET button to clear any warning messages. While holding OPTIONS, press FUEL four times within 10 sec. Go into an AUTOMATIC mode to shows all parameters: PCM-TCS-RTD-BCM-IPC-RADIO-HVAC-LDCM-RDCM-SCM-RFA. If there are no problems, you will see "NO MORE CODES" on the ICP display. The computer displays two kinds of codes, CURRENT and HISTORY, designated "C" or "H". A CURRENT code indicates a malfunction is present in the system whose module is displaying data. A HISTORY code indicates a past problem. When the screen displays MANUAL DIAGNOSTICS, select the desired module by pressing the OPTIONS button to go forward or the TRIP button to go back. Press GAUGES to go forward or FUEL to go back. To exit the diagnostic mode at any time, press E/M. If you want to erase or CLEAR codes, press RESET. Thanks for the Info. Yes, I have the LT1 engine. I changed out the Coolant Temp Sensor (CTS) this morning, but no help. I noticed that when I disconnect the CTS wire, the temp reading jumps to 142 degrees. I don't know what that means, but it's interesting that my problem clears up at 143 degrees. I saw you posted a lot of info on reading the codes. Thanks again! Once I read though it and figure out how to pull the codes on this '95, maybe I'll get closer to the real problem. http://www.eautorepair.net and take a short subscription. i think its 17 bucks .. and it has everything the manuals have.. just sorted in a slightly different order..
i am not trying to sell you something..
was the sensor you changed in the drivers front corner of the water pump???? are you looking at the instrument cluster display.. on the speedo head... or the remote engine data display.. i forgot what they called it..
do you still have the old sensor??? 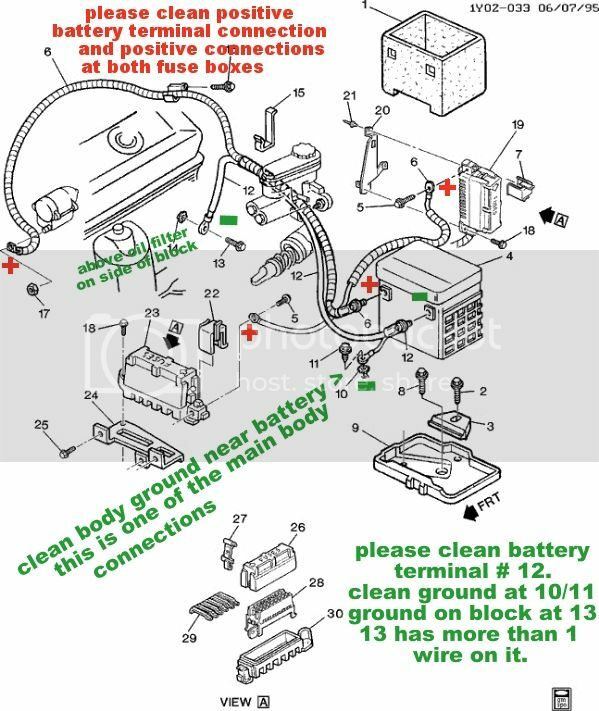 here is the resistance chart for it..
but you just installed the sensor.. not the pigtail..
because of where these sensors are mounted up on the front of the motor.. there is some fatigue issues with the wiring harness into the pigtail connector. do you have your owners manual for the 95??? turn to page 2-74 it shows the analog temp gauge display.. thing with a needle thats easily viewed..
press the GAUGES button on the Trip Monitor until COOL appears. The number that appears next to the fuel gauge is the coolant temperature. 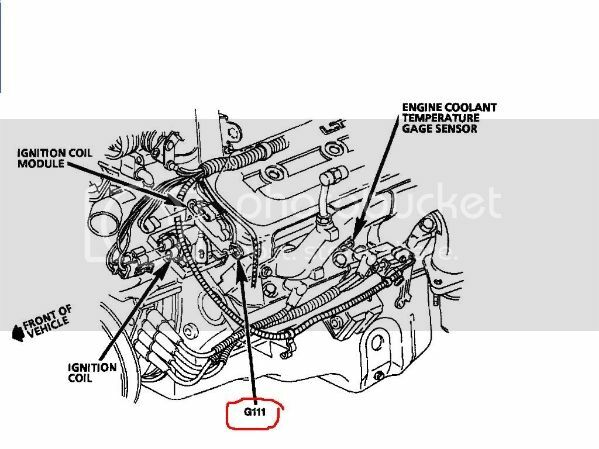 this digital read out should be from the PCM and is the coolant temp sensor above..
another site says you can jump like this to get to the codes from the different modules..
C12 is normal. No reference pulse (engine not running). The analog gauge uses the sensor in the rt. cylinder head, the digital gauge uses the coolant sensor in the water pump that also supplies that information to the ECM. does the digital display go to 266 or higher if you short both coolant sensor wires together? with the sensor disconnected does the digital display show like 142..
signal return on the other..
before going deep into diagnostics.. and its actually fun when you have the proper scan tool. 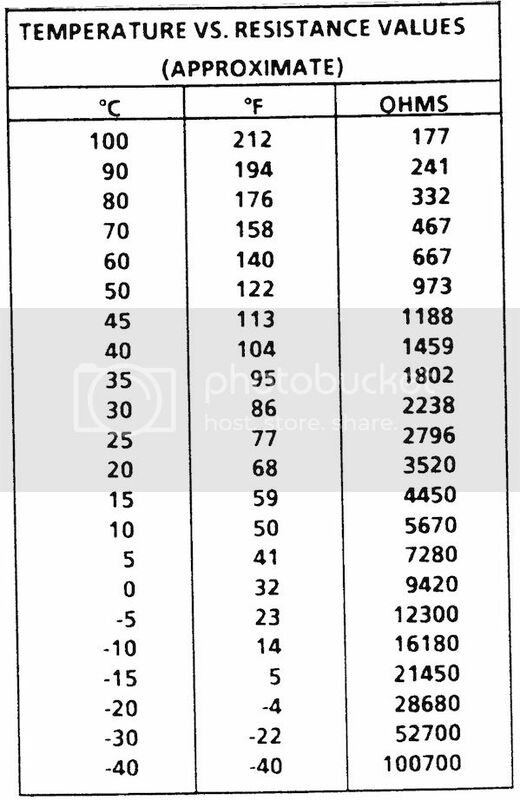 oh... and i was up all night with family.. i searched and the best deal on a new scan tool that has a 99% chance of working with any corvette 84 up.. is the OTC 3499N..
just google OTC 3499N i found several sites with them under 400 bucks..
a secret.. the last few job offers i have had.. my knowledge of automotive electronics is about 10 years out of date.. they are looking for people who can reflash computers and change parts not really diagnose.. i can work my way around the 2004 and up stuff.. but i don't really enjoy it.. so i got passed over for somebody with a only few years experience. instead of 30+ years.. i even went to GM training school out in burbank a few times... starting in 1980/81. for feed back carbs.. and that was before any scan tool... you shorted the then green connector to ground after you disconnected the power wire into the computer and moved it from switched power that went on with the key.. to constant power that stayed on all the times to allow you to retrieve a trouble code..
so.. i just surf the forums and take care of my family issues..
and you want to know the biggest secret... if you have not read the other forum posts here..
take the battery out.. if its in the front drivers side.. start cleaning the battery cable ends.. take the screws out of the ends... use hot water to allow you to push the rubber boot over the top of the ring terminal.. so you can wire brush them..
this is probably a headlight ground... or for the radiator fans..
you won't believe how much better these cars work.. with clean and tight ground connections..
Let me catch up with your questions. 1. Yes, I changed the CTS on the water pump. Easy change with a deep ¾” socket, on the front of the side of the engine. 2. When I say the temp is 143, I am reading this off of the speedo display. The other temp gage tracks pretty well with the digital display, but I watch the digital gage every time I drive it to see when I can accelerate. 3. I still have the old sensor, but haven’t measured the resistance. (Is that important at this point?). 4. Yes, that’s the picture of what I replaced. No, I didn’t replace the pigtail. I inspected the pigtail for wear and burnt pins, but it all looks pretty good. The wires a protected by the plastic tubing about four inches from the connector. 5. Yes, on the 142 when unplugged. I’ll have to check the shorted state number (good call). I do have the pigtail if that’s the problem. 6. Thanks for the tip about the OTC 3499N. 7. WOW!!! That’s great information about cleaning the ground connections. Thanks! Well, I did the shorted CTS connector test and the temp gage read 142 (same as Open), not the 266. I checked it several different times to make sure I had it shorted. Strange. Plugged into the new CTS with the car cold, the digital gage (speedo) reads 78 degrees. But, unplugged or shorted, it's 142. BTW, The car won't start when it's unplugged, open or shorted. do you have a digital volt meter..
one or the other wire should have 5.0 volts DC on it..
do you have the old sensor??? 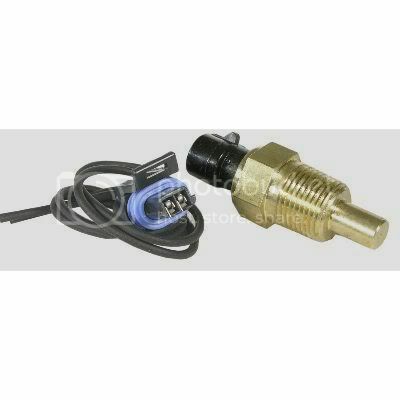 did you get the one with the pigtail connector.. so you can ohm the old sensor easy..
check it against the new sensor..
and do you need the engine control wiring diagram??? 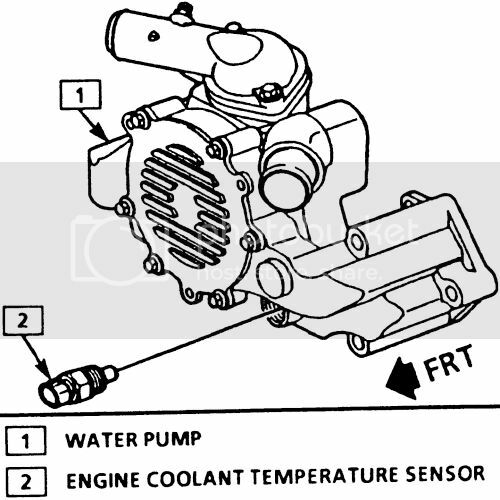 so.. there are 3 sensors there..
throttle position sensor. grey into C2 and dark blue into C3..
yellow should have 5.0 volts..
black should be grounded thru the computer... along with the other sensors mentioned above..
so.. could you have lost a ground connection to the computer and the black wire connection thru the computer..??? key on.. sensor plugged in... how much voltage on the black wire..
key on sensor plugged in... how much voltage on the yellow wire..
ohm from the pins thru the wire to the end of the sensor connector..